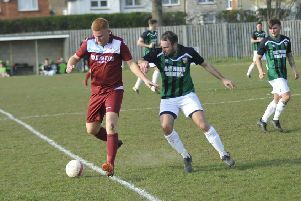 Bexhill United Football Club has an opportunity to continue its rise up the table with two home games over the coming week. The Pirates are due to entertain Storrington today (Saturday, kick-off 3pm) and Hailsham Town on Wednesday night (kick-off 7.45pm) in Macron Store Southern Combination League Division One. Sixth-placed Bexhill are just a point outside the top four after last weekend’s superb 5-1 victory away to Wick and they’ve won their last four matches in all competitions. Bexhill manager Ryan Light said: “We’ve just come off the back of a terrific month and we’re in confident mood because we’ve won 11 from 15. “We’re going really well and we’ve got to take care of those two home games. Six points would set up a real humdinger at (third-placed) Lingfield on the 10th (of February). “We do have to concentrate and focus, and take each game as it comes because if you take your eye off the ball one week against a so-called lesser side, you end up dropping points. Bexhill remain six points behind Lingfield, but only two points cover Wick in fourth and seventh-placed Ringmer. Bexhill should be close to full strength, with Nathan Lopez, Liam Foster, Curtis Beale and Ben Cornelius expected to return.